Livid workers were seen pelting stones at the office and factory buildings in Sector 63, and forcefully entering the facility premises. Police had to be deployed at the scene as the workers refused to back down. Hundreds of employees of a Chinese smartphone manufacturing factory went on a rampage on Thursday, November 29, in Noida, after around 200 workers were sacked without notice. The workers are of Hipad Technology India, which makes smartphones for Chinese brands Xiaomi and Oppo. 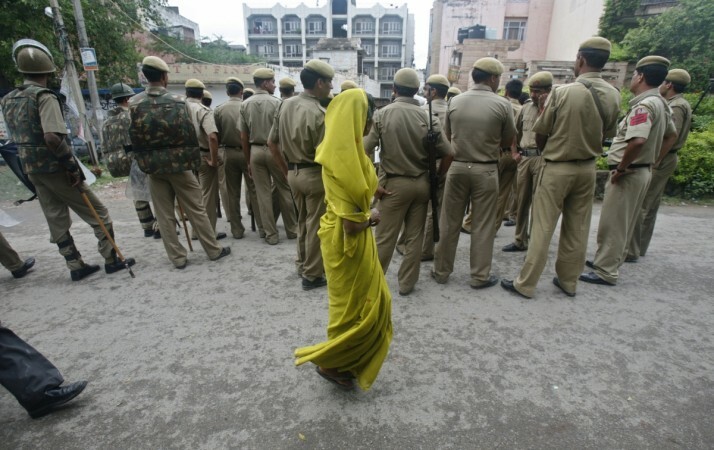 Superintendent of Police, Noida City, Sudha Singh detailed the incident and told the Press Trust of India that the violence broke out around 10 am. The facility is under Phase 3 police station limits and the force reached minutes after the workers went on a rampage. "We got to know that several employees had resorted to violence after they were 'sacked' by their office without any notice," she added. A private security guard at the unit also said that workers came in at 8 am and the violence began about two hours later. "They went inside and usually by 8.30 am they all set to work on the assembly line. But more than a thousand workers had gathered outside the main building around 9.45 am and chaos ensued," the guard said. He also added that when the violence started, many workers fled the building and even took mobiles phones and other gadgets with them. Hipad Technology India is yet to respond to the issue, but Oppo has released a statement on the same. We at OPPO India are aware of the recent reports and would like to clarify that the organisation in question and its workers are independent entities and not related to OPPO. OPPO India has deep respect for our employees and have always held them in the highest of regards. We have and will continue to take decisions keeping in mind the best interest of our employees." Singh said that no formal complaint had been lodged, but a police official, on condition of anonymity, said that about four people had been detained for questioning. A company source also told PTI that the workers had been informed of the decision in advance. "Also, it is clearly mentioned in the terms and conditions of the contract that the company can reduce the number of workers without notice," the source said. Later in the afternoon, officials of the Labour Department visited the site of the violence and told PTI that it appeared to be a case of "miscommunication." "Due to shortage of raw material, the company had asked the vendors to tell these people not to come for work from Monday. But they continued to come to office and the management today barred them from punching in (biometric entry)," Assistant Labour Commissioner Harish Chandra Singh told the agency. "The vendor had possibly not informed the workers that is why they kept coming to work which apparently led to this misunderstanding. The office asked them to leave the premises and the workers said they were not informed about the decision and were being sacked that is why they resorted to violence." The vendors too are yet to speak on the issue. In 2017, Chinese smartphone manufacturing firm Vivo had also come under fire after it sacked about 20 employees. Following the layoffs, over 100 employees gathered at the brand's Greater Noida manufacturing plant and protested against the company and even clashed with its security personnel. The employees of the organisation said that those sacked were not given prior notice and had no alternate jobs to fall back on. The employees were reportedly told to wind up after lunch as there was not enough work for them. Speaking of the layoffs, Vivo India said that they were in tune with the company's business decision. "We look at staffing the right size in various divisions to improve productivity. The layoff is in line with this business decision," Vivo India had told International Business Times India.